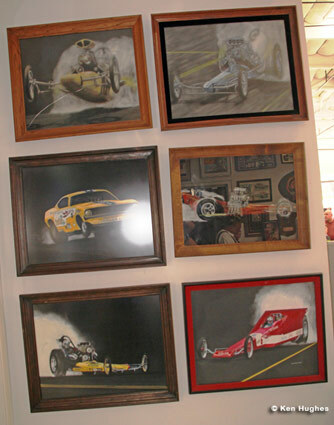 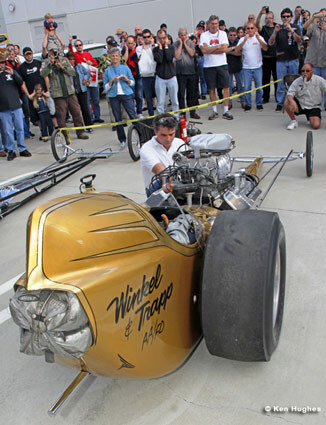 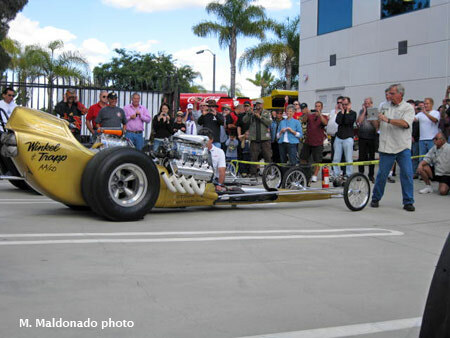 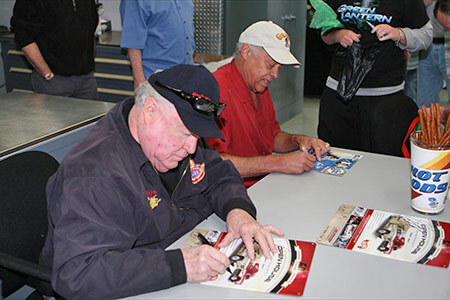 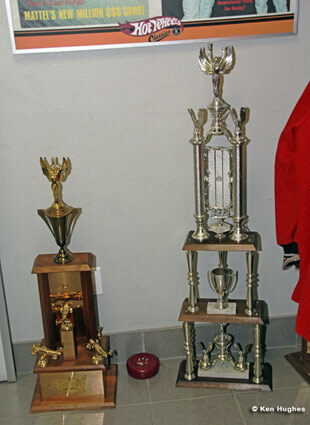 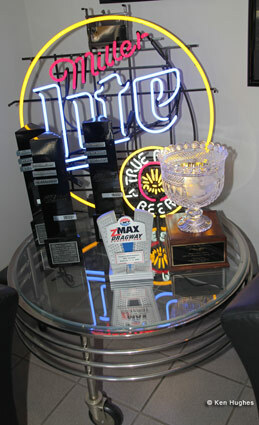 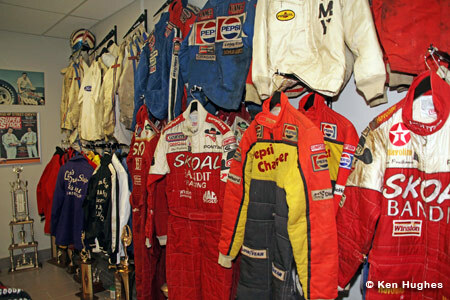 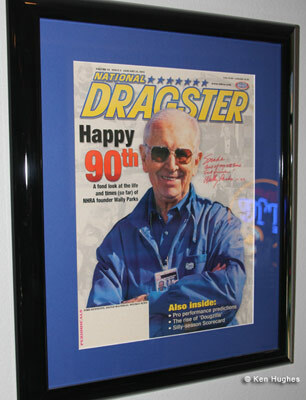 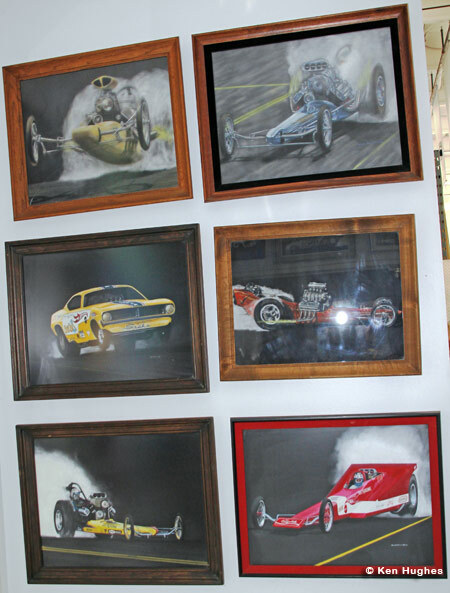 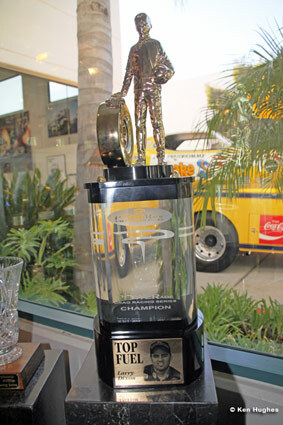 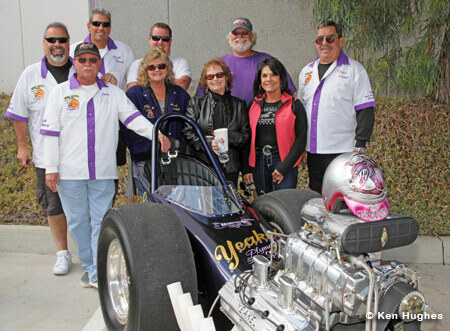 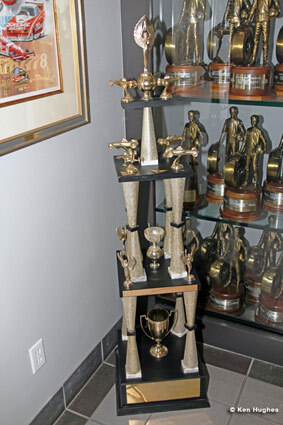 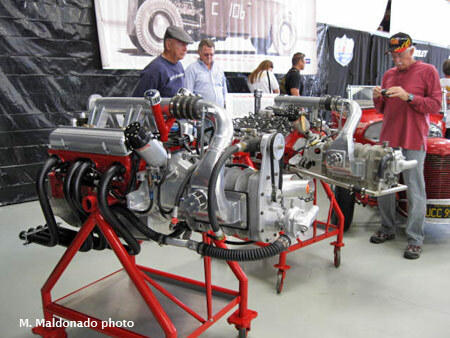 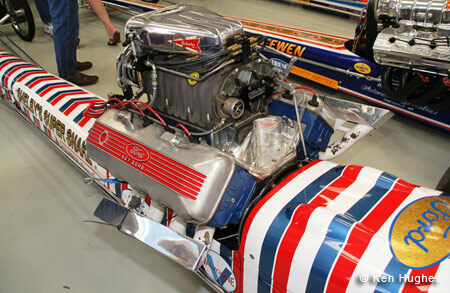 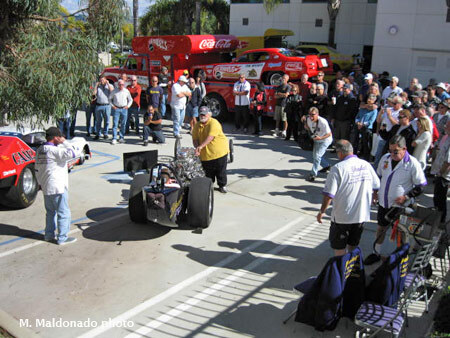 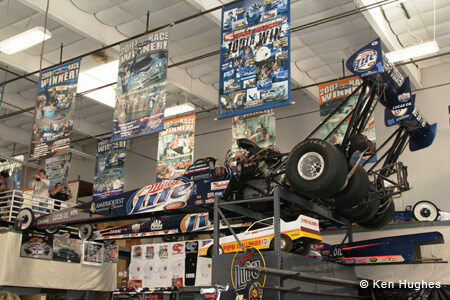 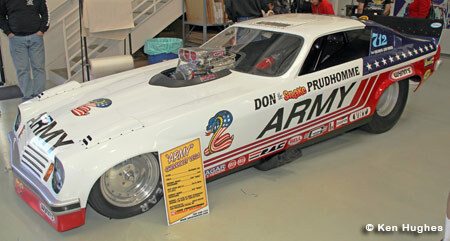 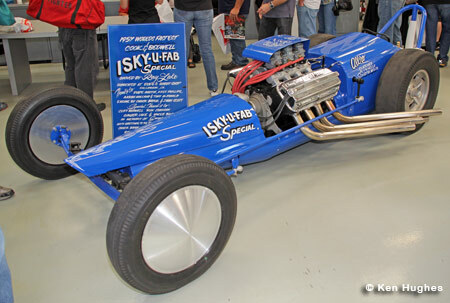 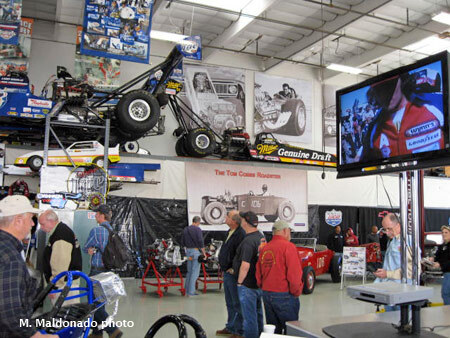 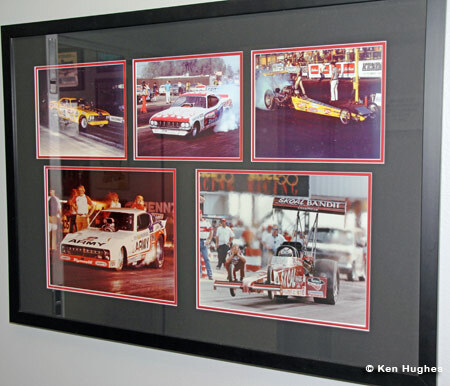 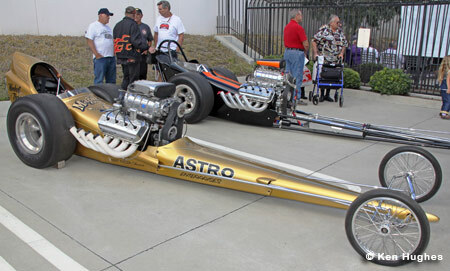 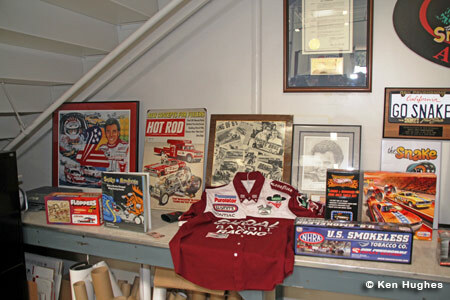 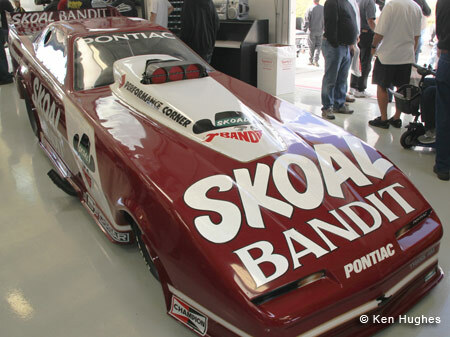 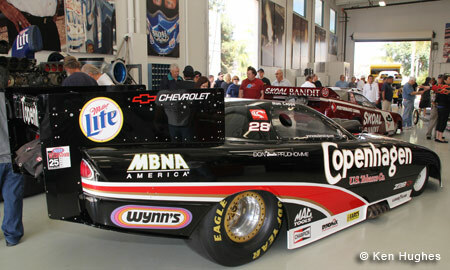 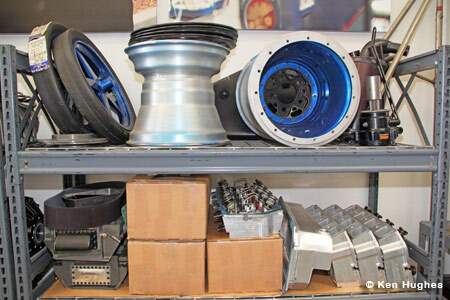 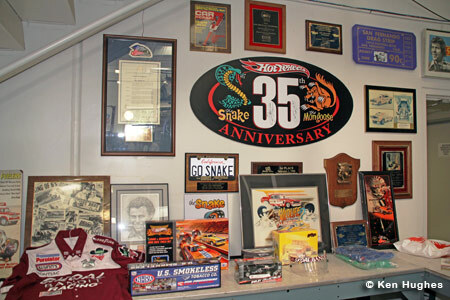 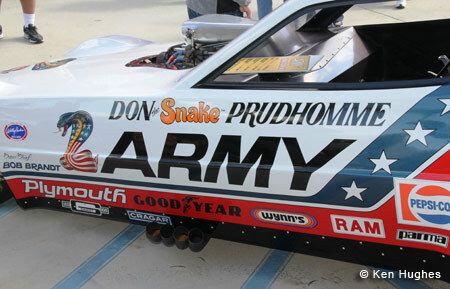 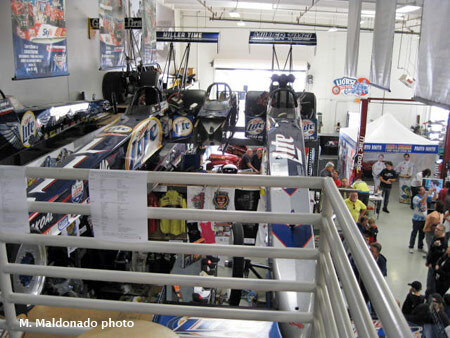 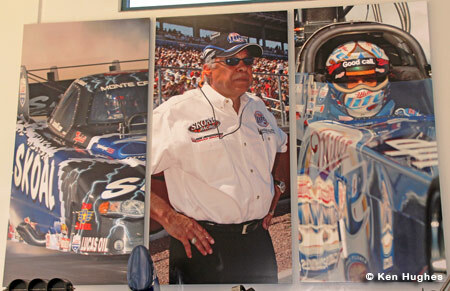 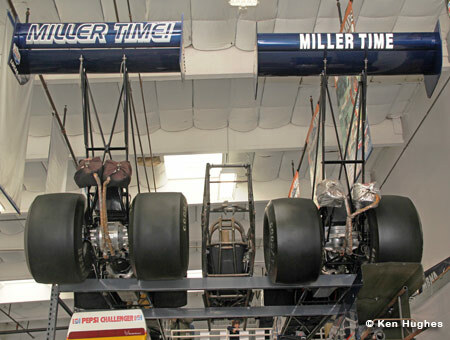 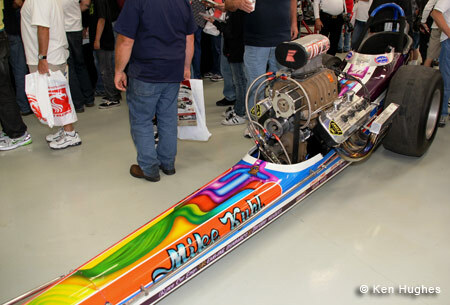 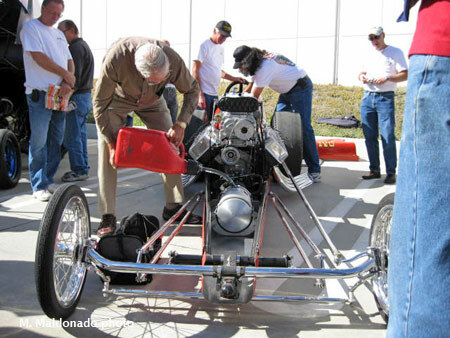 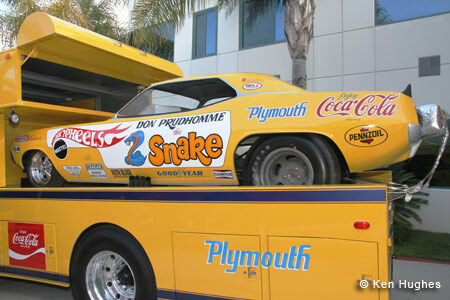 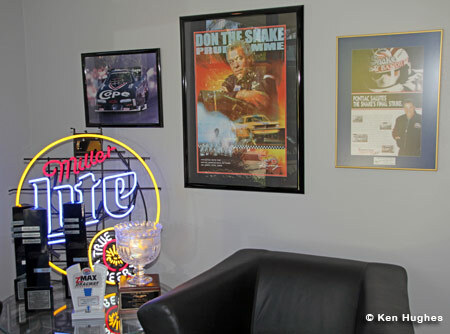 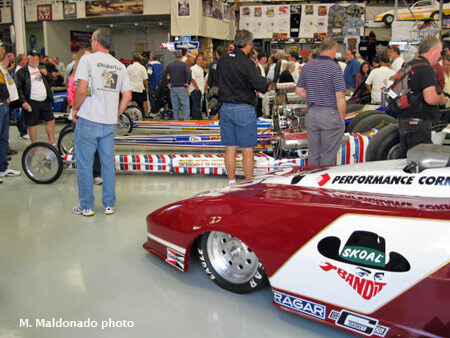 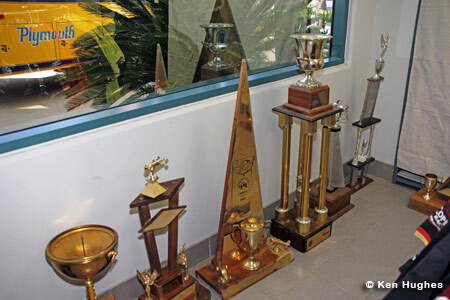 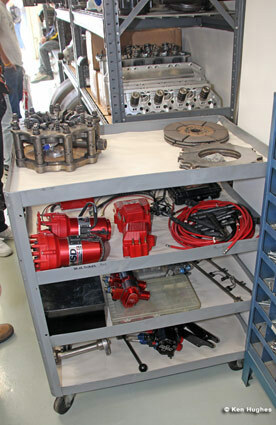 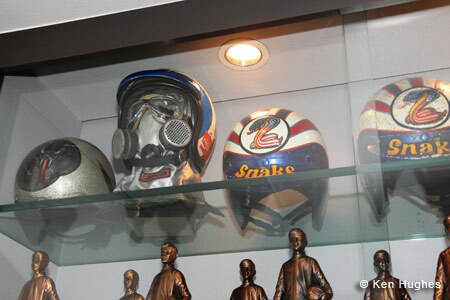 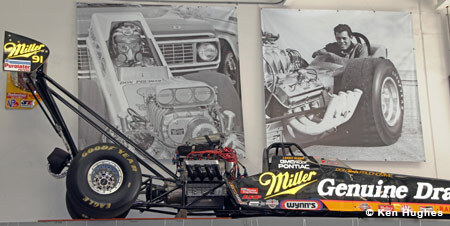 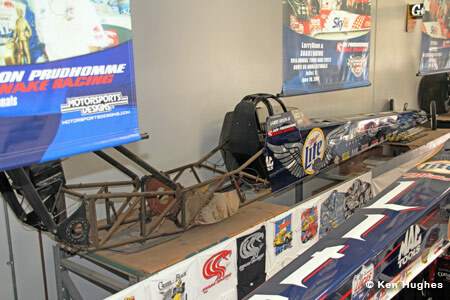 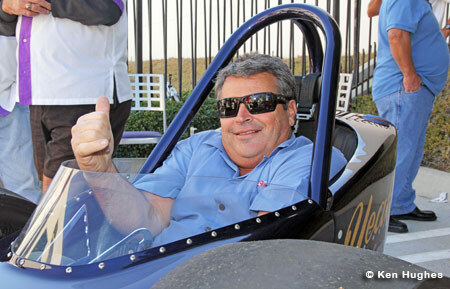 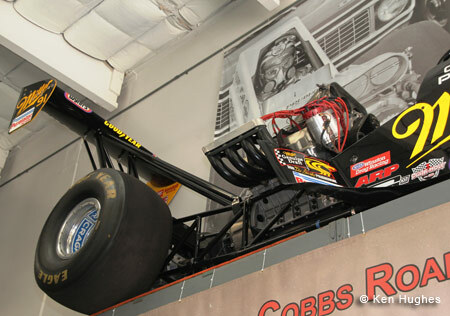 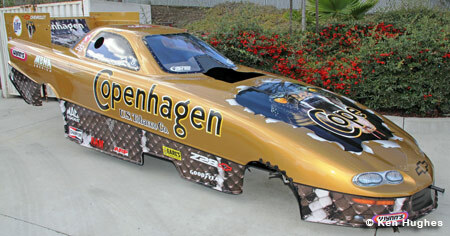 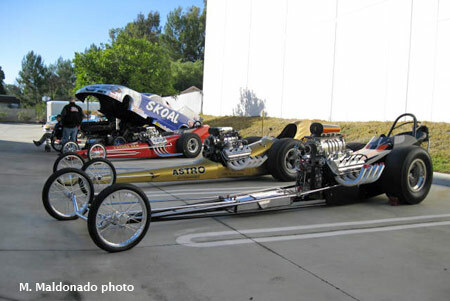 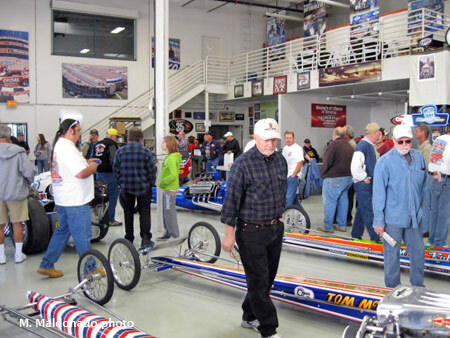 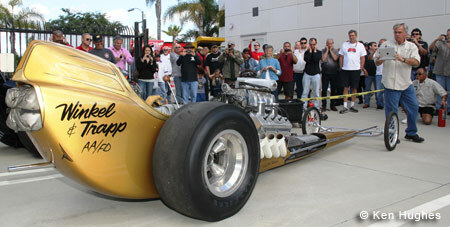 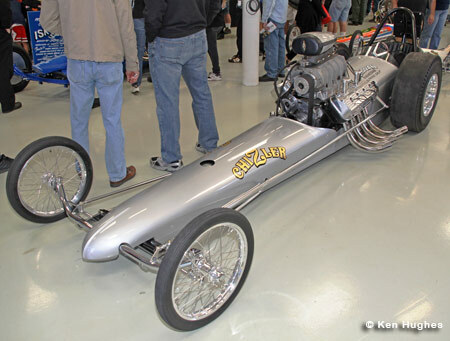 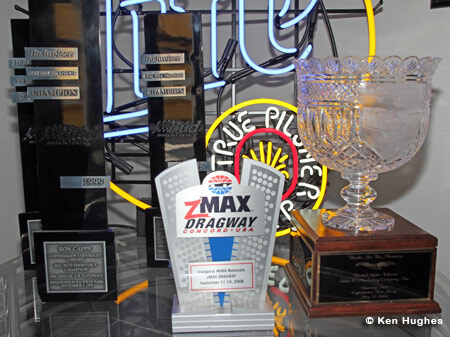 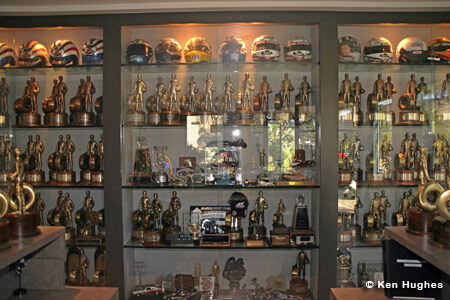 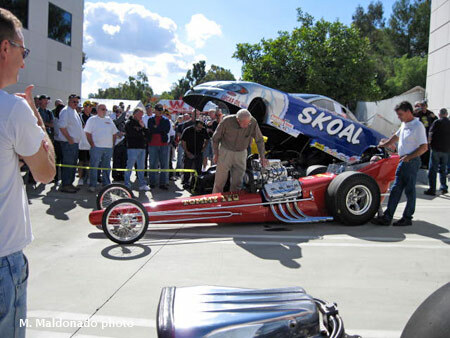 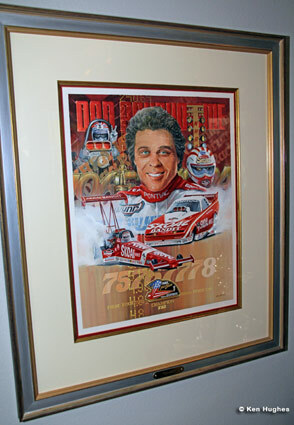 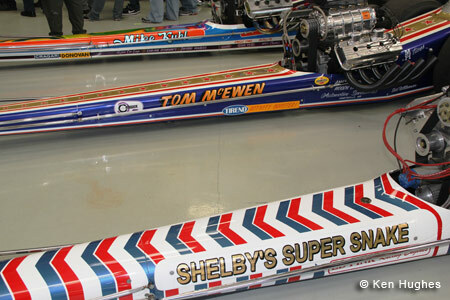 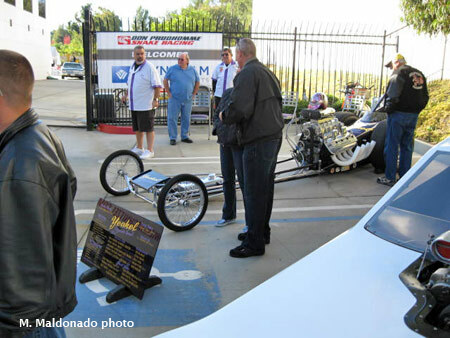 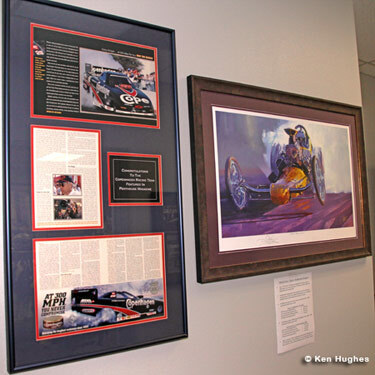 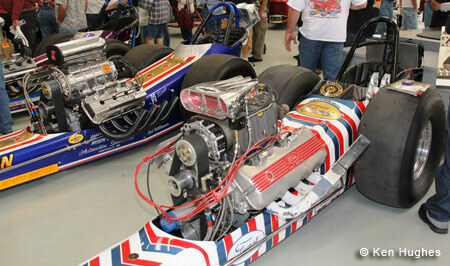 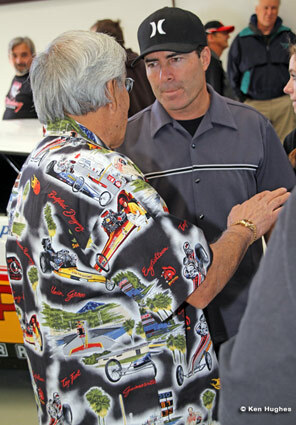 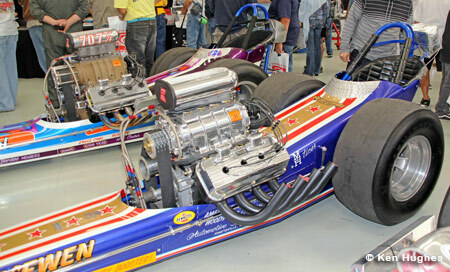 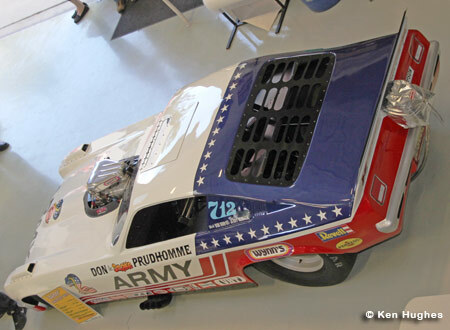 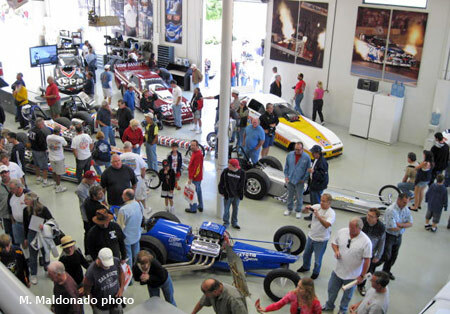 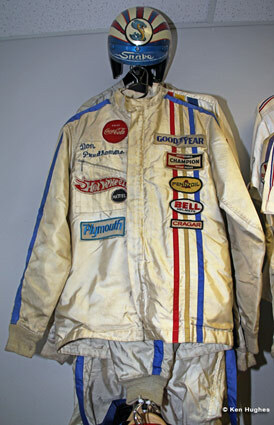 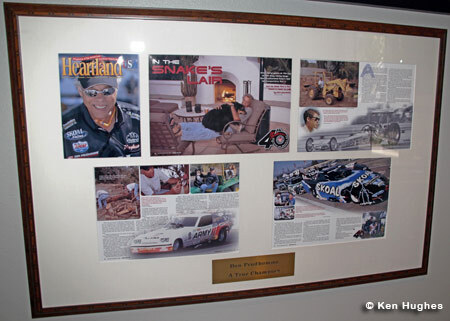 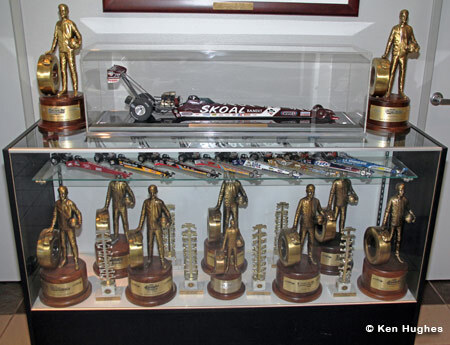 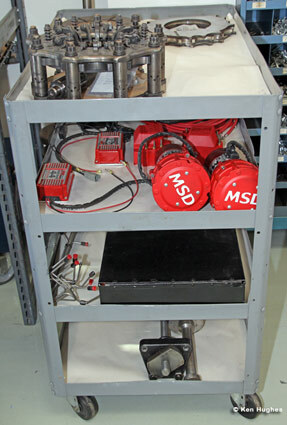 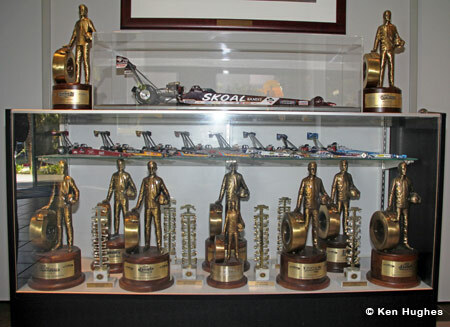 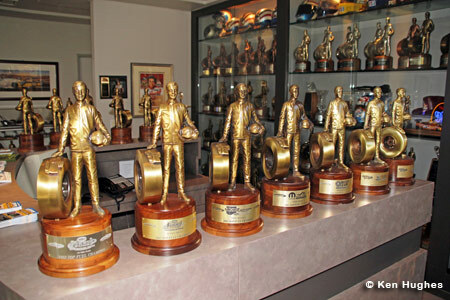 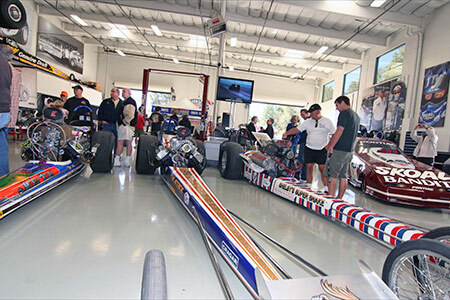 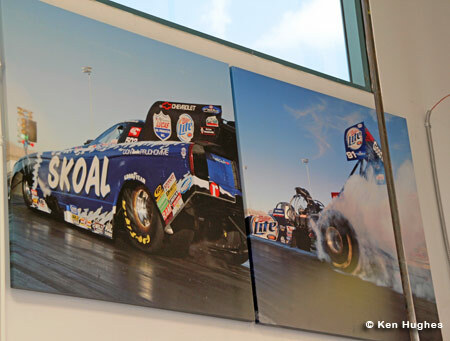 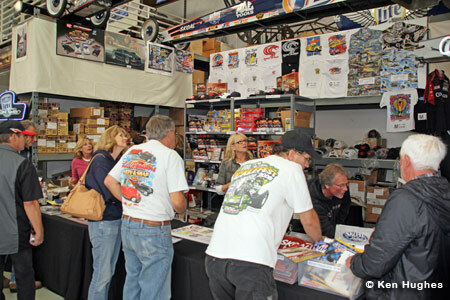 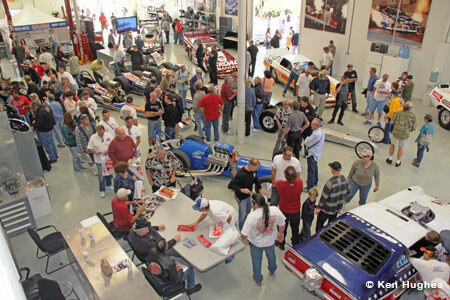 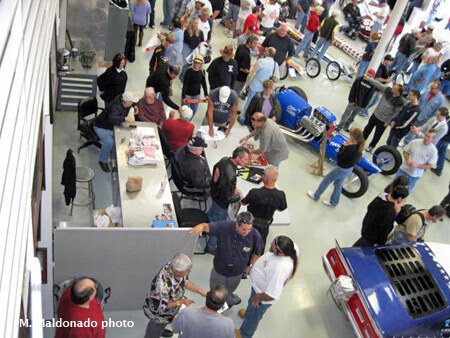 On November 5, 2011 Don Prudhomme opened his workshop/museum to the public and the turnout was overwhelming. 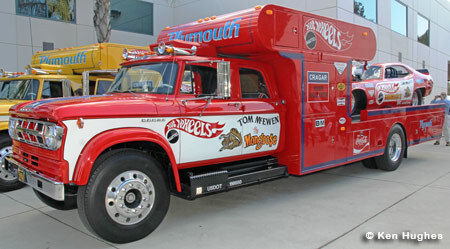 Considering most of us are geographically challenged, a day trip to San Diego is pretty much out of the question. 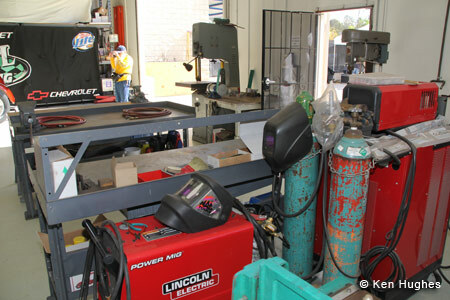 So, for those who have little hope of ever seeing The Vipe's domain in person, here are a few photos that show the scope of it. 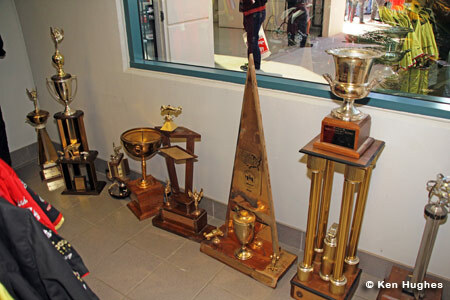 Most of us were lucky to end up with a few photos at the end of our drag racing careers but obviously Prudhomme had the ways and means to save damn near everything. 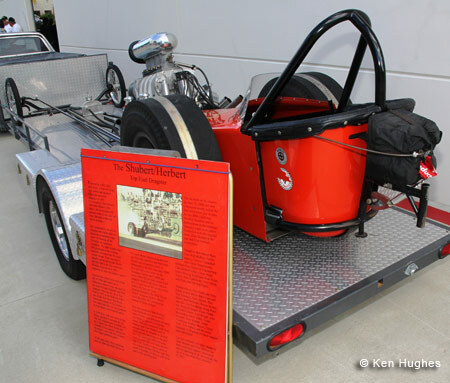 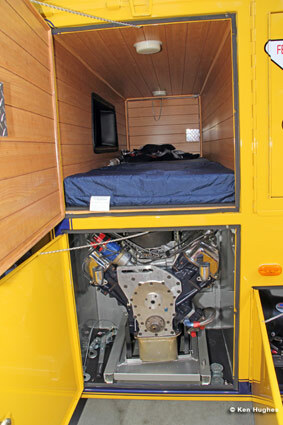 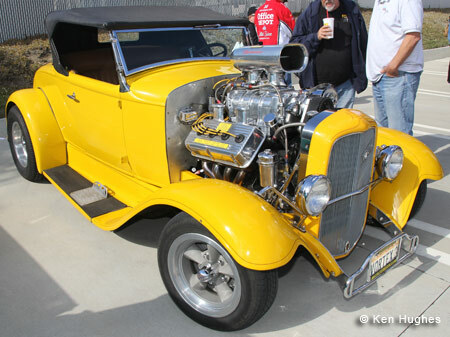 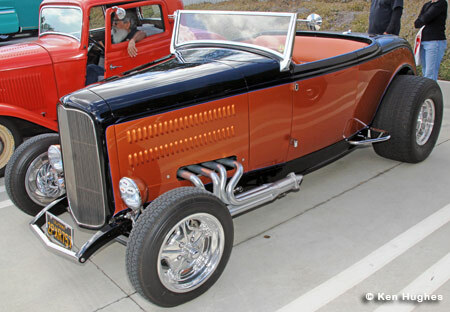 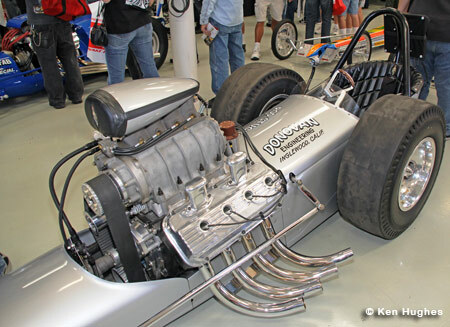 This roadster and the flathead and Chev engines on engine stands were originally owned by Tom Cobb and are now owned by Ralph Whitworth. 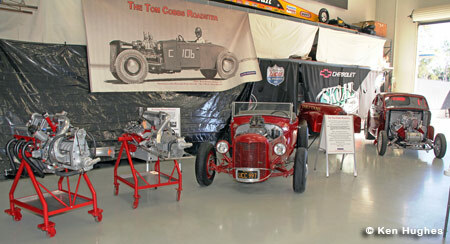 Ralph is the guy who started to build Americas Car Museum in Winnemucca, NV. 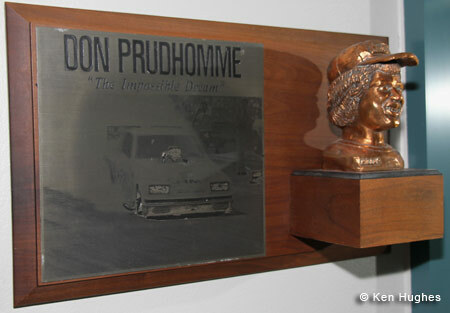 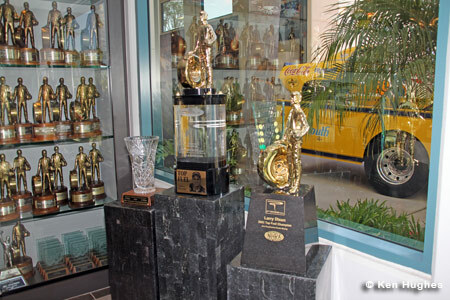 Through his period of collecting cars for the museum, he got to know and became a good friend of Prudhomme and the Cobb cars have been in Prudhomme displays more than once so I think that Prudhommes shop is helping Ralph with restoration on at least these cars. 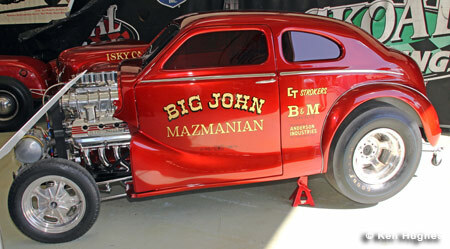 The Austin is John Mazmanians old car, I think it was the first to get built after the Mazmanian Corvette. 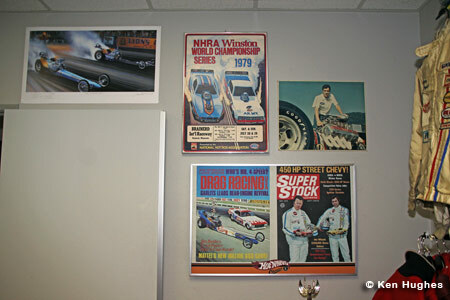 Ralph had this in Prudhommes small display at the CHRR. 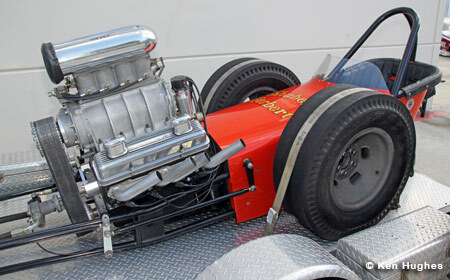 If I remember history correctly, the Cobb car was part of the first major drag race at Cotati, where it raced against the Fran Hernandez car, maybe a coupe? 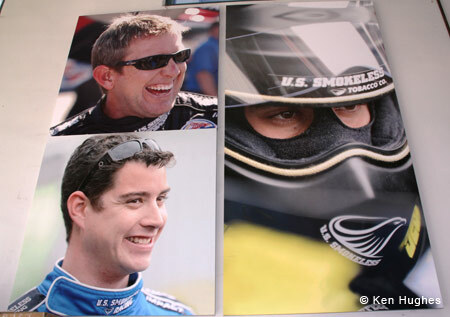 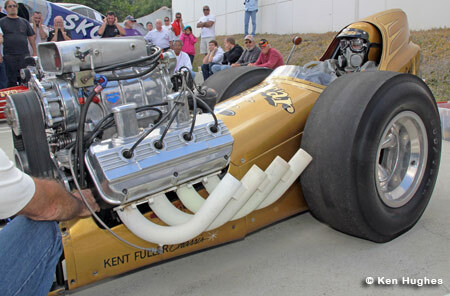 Hernandez ran unblown with nitro, Cobb ran blown on gas. 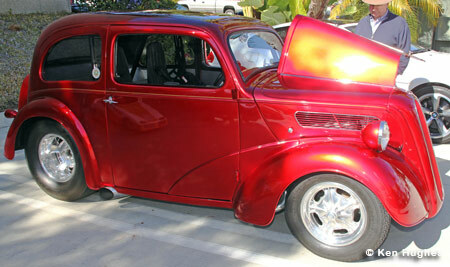 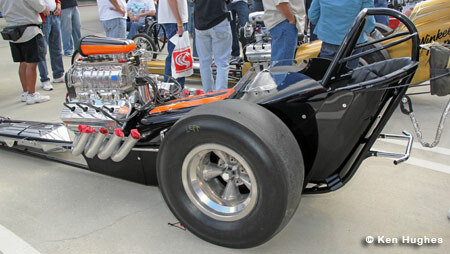 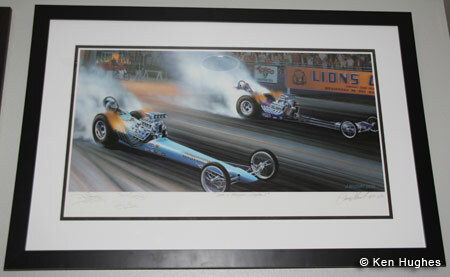 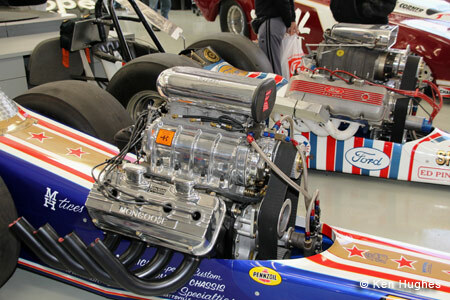 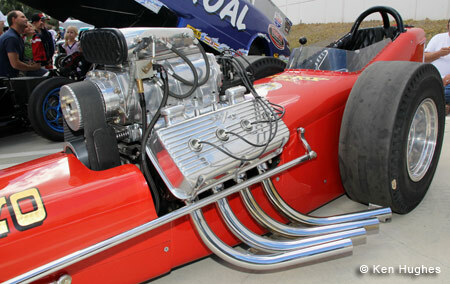 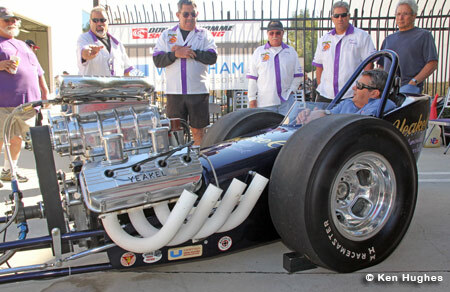 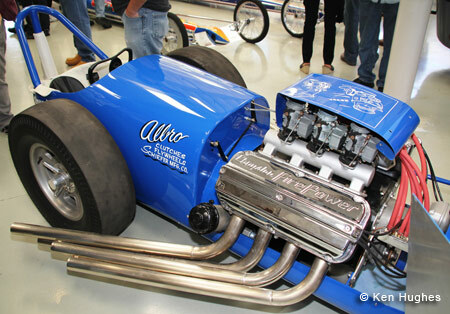 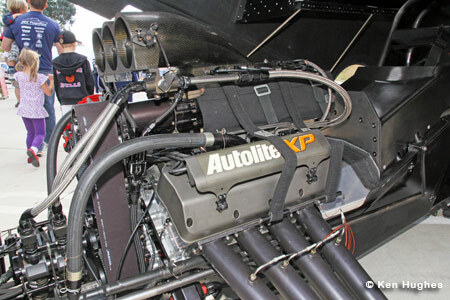 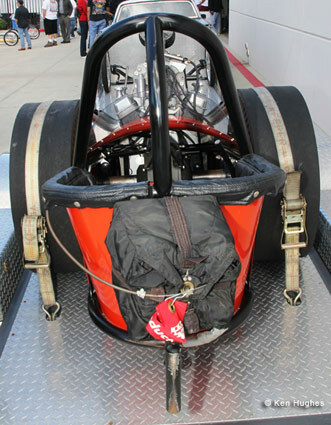 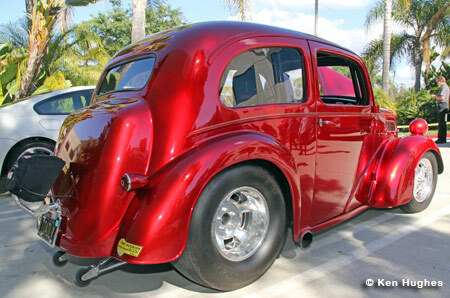 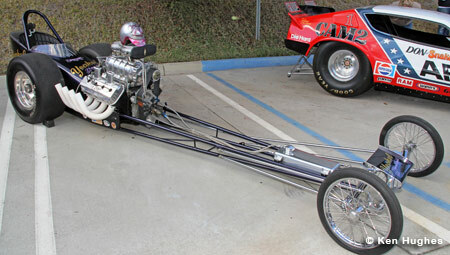 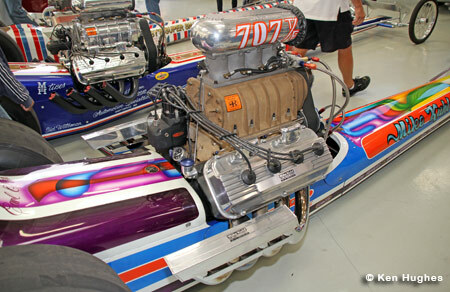 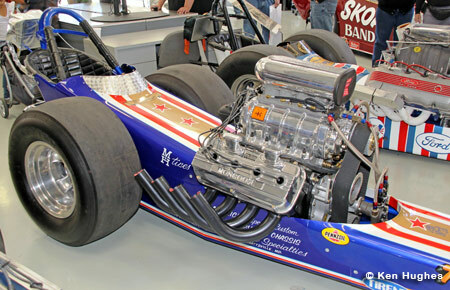 This was reportedly the first use of nitro in a car engine at the drags. 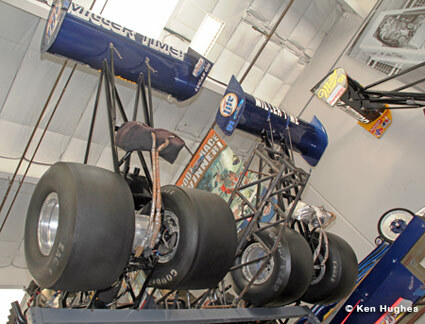 I think maybe motorcycles had been run on nitro before that. 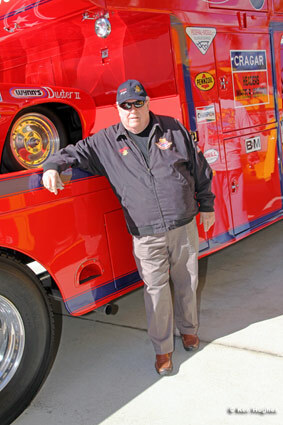 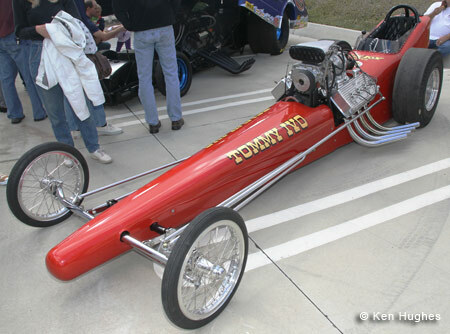 Ron Johnson fueled then fired his Tommy Ivo Barnstormer. 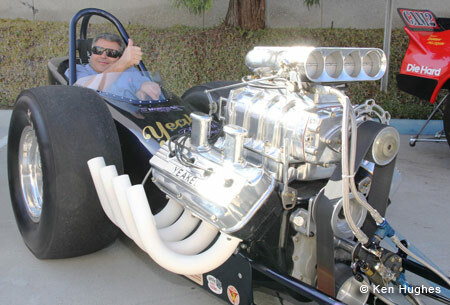 Donnie Couch got the seat for the Yeakle fire-up. 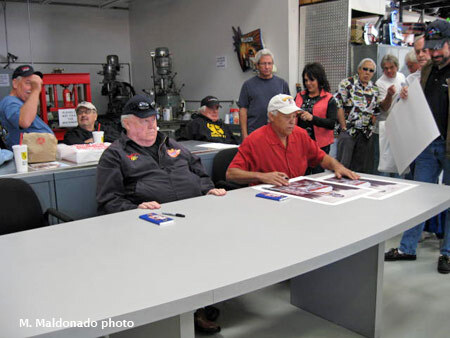 The Autograph Table: Mike Kuhl, Bill Tidwell and Roland Leong in the background. 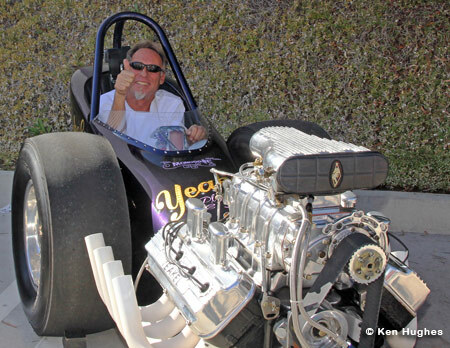 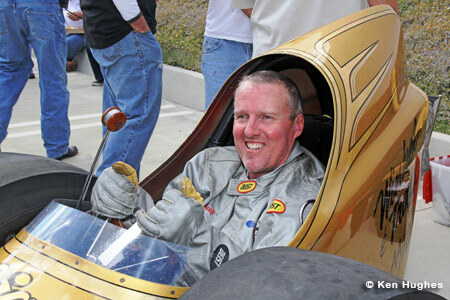 Bill Pitts put his life long friend, John Phillips in the Magicar for a fire-up. 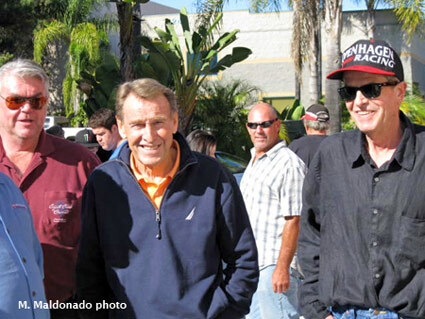 BIll has known John since kindergarten. 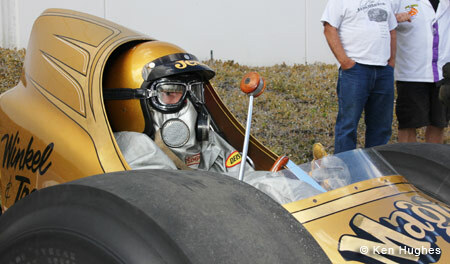 The fire up was on his "bucket list". 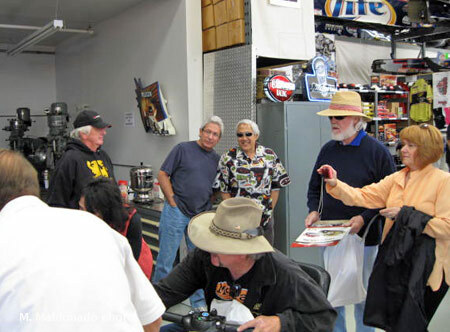 What's a life long friend to do? 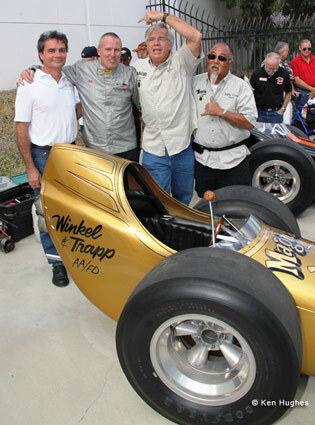 Rick MacDonald, Phillips, Pitts and Vince Yamasaki. 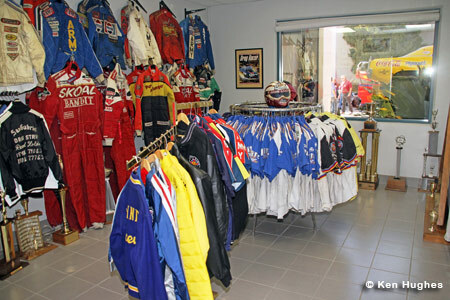 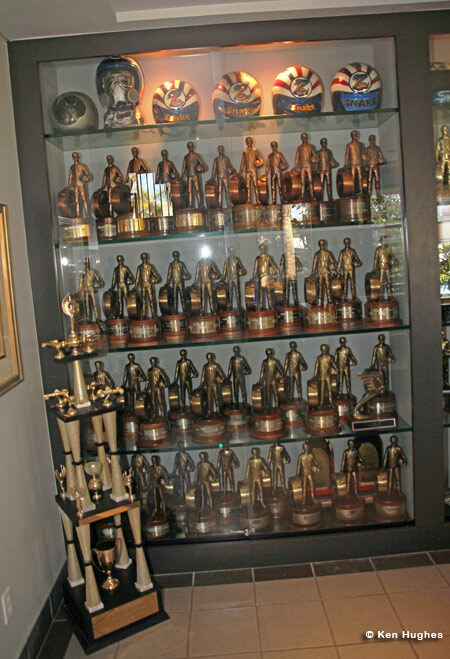 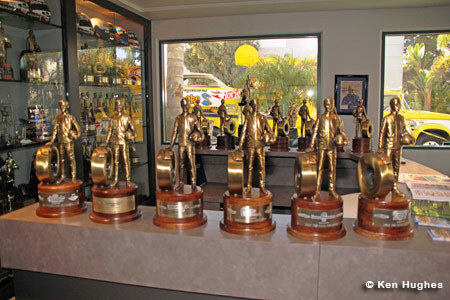 I'm not sure who has more Wally's than Prudhomme. 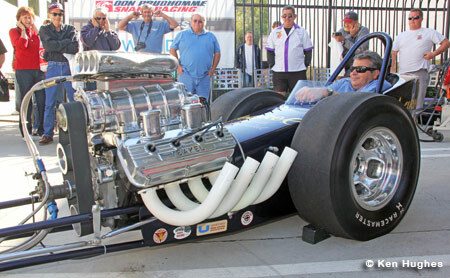 Maybe Force? 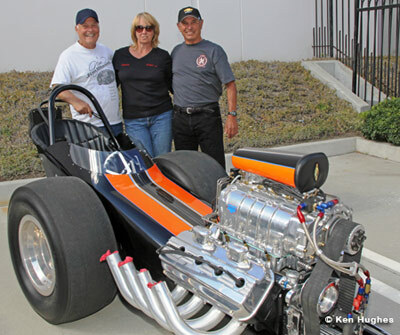 Jay Carpenter, Connie Braun and Dominick Cardoza. 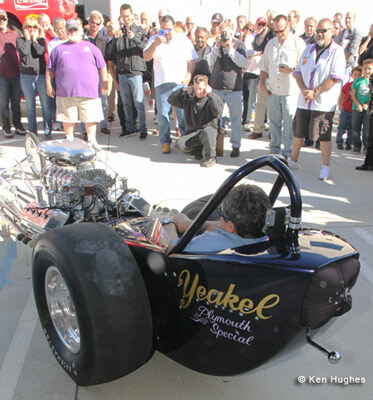 The world famous Yeakle mob.